What happens early, matters for a lifetime. Train a child in the way he should go. Barker Road Methodist Church Kindergarten (BRMCK) was established on 15th August 1967 with the late Mrs Joyce Foster, Lay Missionary appointed as the first principal. 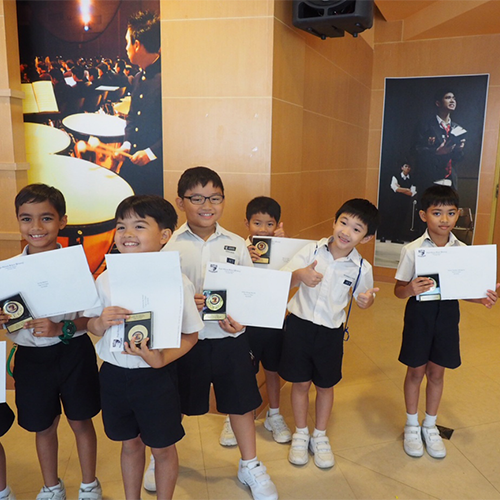 The Kindergarten which is an outreach arm of Barker Road Methodist Church (BRMC), enjoys close proximity and spiritual affinity with the Methodist Church in Singapore and the ACS family of schools. We are effectively bilingual, communicating in English and Chinese daily. Our nursery children are exposed to 70% Chinese and 30% English in the curriculum, while the kindergarten children have a balanced 50% English and 50% Chinese exposure in their daily lessons. 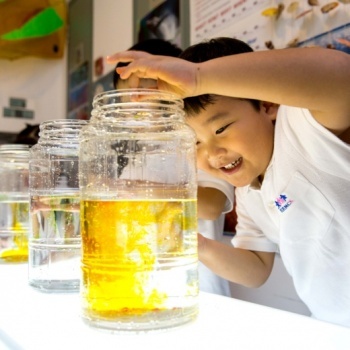 As we move into the 21st century, we want our children to have an inquiring mind. They need to be open-minded and have the skills to communicate. Children will have many opportunities to explore and ask questions. We want our children to be balanced. 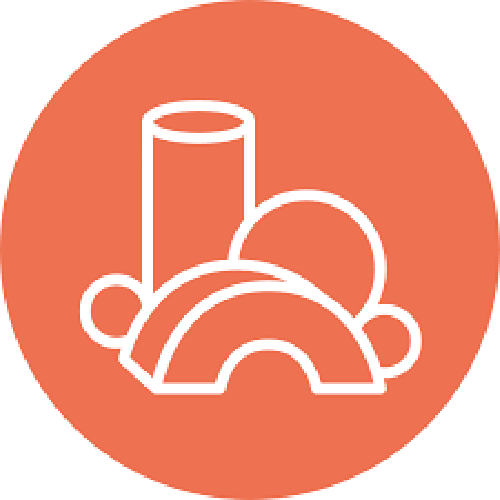 We focus on six domains – Literacy, Numeracy, Environmental Awareness, Arts and Aesthetics, Physical and Motor development as well as being socially and emotionally adequate to be happy and well-adjusted. 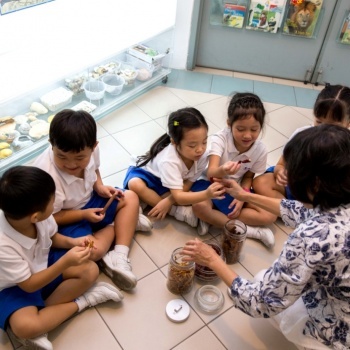 We also ensure that our children are prepared well to enter the primary schools in Singapore. BRMCK’s Montessori Program is a carefully planned enrichment program to complement the BRMCK mainstream curriculum. The program aims to help children lay a strong foundation for independent learning and to help them reach full potential in all areas of life. 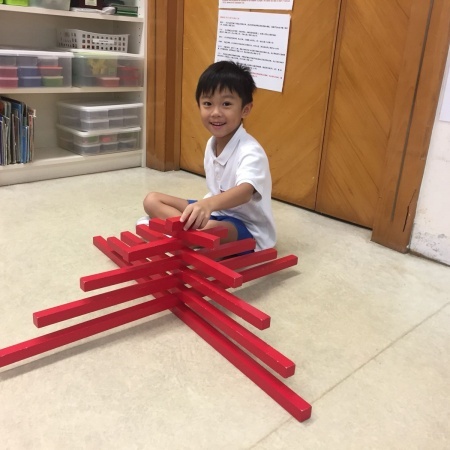 The holistic curriculum covers five main Montessori subject areas which promote the development of physical coordination, cognitive preparation, emotional growth, as well as social skills in children. BRMCK provides a holistic learning environment. There is a strong focus on curriculum and discipline and I am heartened to see both my children grow in these areas. I really appreciate and thank God for the BRMCK teachers who are nurturing and patient yet always firm. As I watch my older child graduate from BRMCK this year, I am reminded of all the hard work and dedication of the principal, teachers and staff of BRMCK! We’re extremely blessed to have found an all-rounded school that provides a strong foundation in Christian values and inculcates a love of learning. 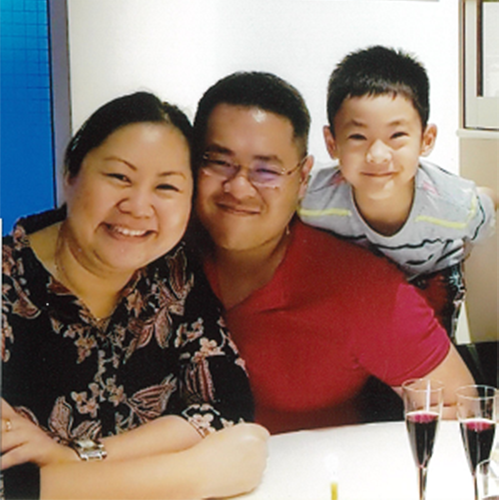 We are always amazed when our son rattles off what he has learnt, in English and Mandarin! Most importantly, the BRMCK teachers really love the kids and care for them very well. Thank you to Barker Road Methodist Church Kindergarten. The teachers are our guides, our support, our friends, our angels and our blessings. Jesus bless! My grandson Jaden has been with BRMCK for four years, graduating from K2 this year 2017. I drive Jaden to and from BRMCK every day and he enjoys going to BRMCK. I am very pleased to see Jaden growing strong and confident over these 4 years. Both myself and his parents are very satisfied with his progress and the quality of education he receives. 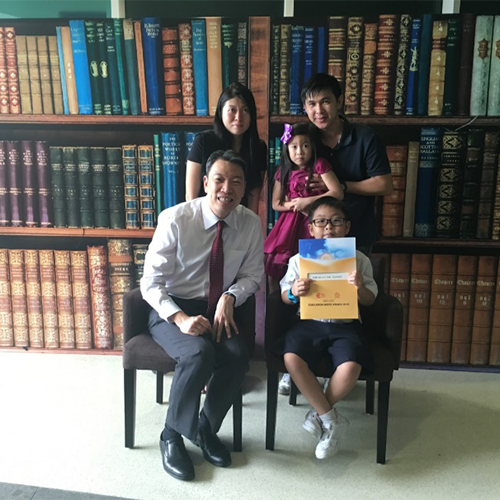 This foundation will definitely empower and prepare him well for his primary one school entry next year. 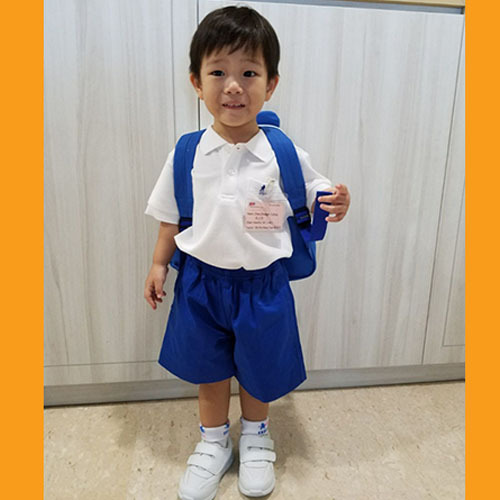 Jaden is very blessed to have both Ms Patricia Liaw and Ms Dorin Kor as his English and Chinese teachers respectively during his K1 and K2 stages. Both teachers are awesome, friendly, tactful, professional, attentive and caring. From my daily observations during the end of class, the students are well-behaved while walking in pairs led by both Patricia and Dorin before being handed over to their respective parents / guardians. The students show great respect to their teachers before and after class. The children are being trained and taught in ethics by their responsible teachers. BRMCK is one of the best and among the top pre-schools and I have never ever worried about my grandson’s safety as he is in the good hands of these trusted and caring teachers. BRMCK indeed exemplifies the best quality of care for their students, their happiness, their health, their education and their social development as well. My three children, Matthew, Jonathan and Sarah, have passed through the halls of BRMCK over the past 9 years. My youngest, Sarah, graduates this year. Each child integrated well, made friends and enjoyed their time with BRMCK. The program gives a good balance between the foundational development of social skills and academic progress, to transition the kids to primary school. Matthew and Jonathan adjusted well to life in primary school. I have no doubt that Sarah will do equally well. It is a great credit to your staff for their exemplary dedication and thoughtfulness in this regard. I am very appreciative. I am particularly grateful for the extra care and attention that Sarah has received since her mother passed away almost 3 years ago. Going to school at BRMCK brings so much excitement and joy to my little girl! She loves her school and looks forward to going to school daily. BRMCK has a very balanced emphasis on academics, learning through play, character development and Christian values. More importantly, the teachers are very experienced and provide a nurturing and loving environment for the children to learn and grow. The love for her teachers and their impact on her is also evident in my daughter’s playtime when she would always role play as her teacher. As a parent, it is indeed heartwarming and assuring to see my daughter grow in BRMCK and enjoy her time in school over the past 2 years. BRMCK is the ideal kindergarten for our child. 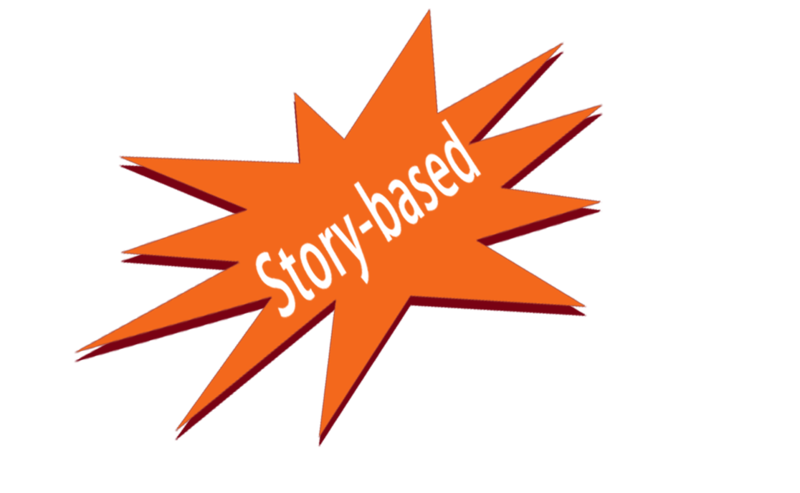 It provides a balance between exploratory learning and a structured curriculum. At the same time, the strong Christian values cultivate character development and encourage confidence building. 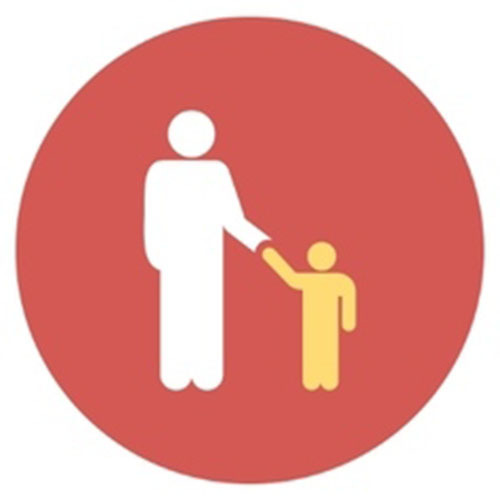 The principal and teachers work closely with parents to understand the needs and limitations of our child. With that, we find that our child has the freedom to explore the world within the limits of a loving and safe environment. 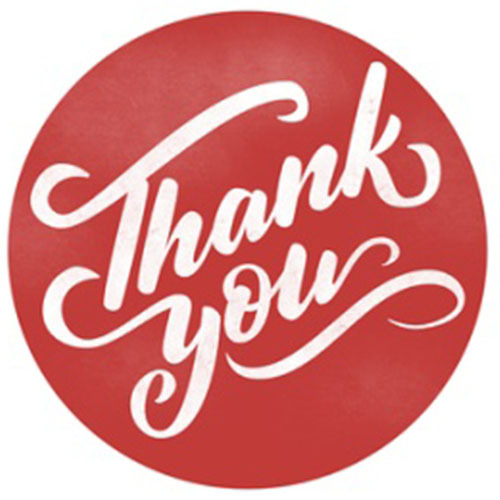 Dearest staff and teachers in BRMCK We would like to write this letter to express our gratitude to all the staff and teachers in BRMCK. We are grateful for the love, care and patience you show to our children as they grow in learning each day of their time in BRMCK. Our children joined BRMCK in 2015 & 2017, because we were looking for a kindergarten that has Christian values and beliefs. As the years passed, we can see how happy and confident they have grown. But most important of all, we see in them the basic Christian values, understanding about Jesus and life values (humility, respect, truth…). They learn and practise these in their daily life, not just in school. When they are with family members and friends, they respect others. 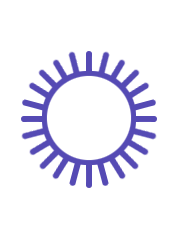 This is a great foundation and we really value it. Thank you to all the staff that keep the school safe, clean and organised for our children so that they are able to study and learn in a great, positive environment. To the teachers, thank you for your hard work in teaching, caring; you never stop in giving your best to the children. Special thanks to Mdm Yeo Peck Cheng, Ms Kim, Mrs Boon, Mdm Teo Siang Hoon, Ms Tay, Mdm Wei Shu Qin, Ms Catherine Lai, Ms Chen Ling Ling, and Mdm Sun Bei. BRMCK has been a second home to our son, , for the past 4 years. He has been blessed with teachers that are kind but most importantly, caring. His teachers are concerned for his wellbeing. They initiate conversations with us, providing us with valuable feedback on his performance in school and help us guide him in the right direction. They are real partners in education. He started off with just the mainstream program in his first 2 years and the curriculum was strong academically. In K1, he joined the Multiple Intelligences Chinese enrichment program. This program gave him a further head start in Chinese and we are very pleased with his progress. 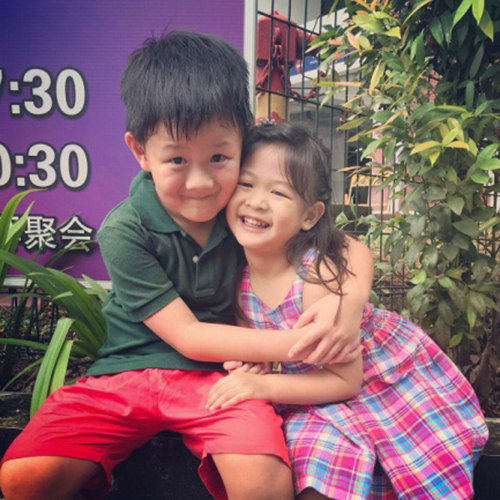 This together with his mainstream Chinese class has resulted in him blossoming into a young child who enjoys learning the Chinese language and one who can speak Chinese with the right intonation! This is amazing as we are predominantly an English speaking household. I believe that BRMCK has prepared him well for Primary 1, not just academically but socially too. He was rather shy but now shows much more confidence in himself. We are thankful that BRMCK has imparted good values to our son and provided him with a nurturing environment for his early years. 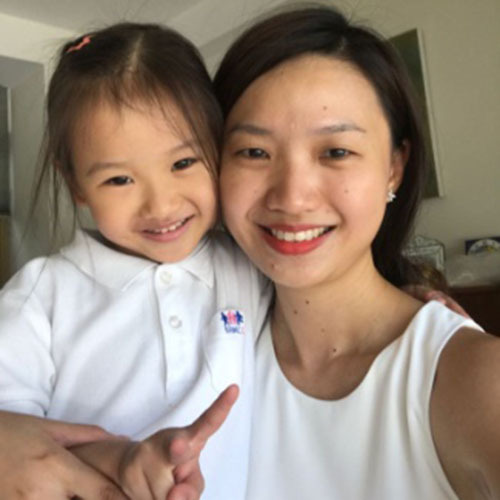 As a mother of two daughters who do not speak fluent English and Chinese since we speak Korean at home, I had to carefully choose the kindergarten that can help my children easily assimilate into local culture and at the same time, be well prepared for the challenging local primary school curriculum. 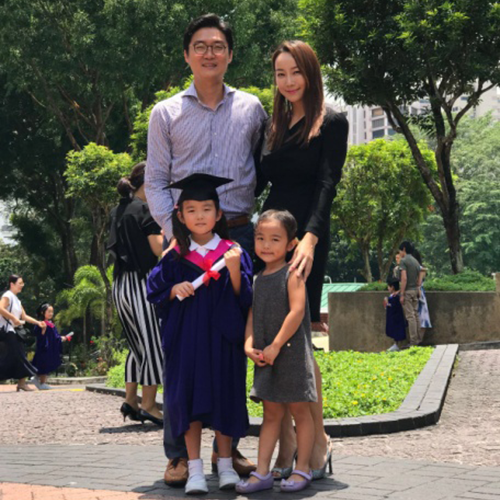 After my children joined BRMCK, I could feel the difference just in a couple of months as my children started to converse in a mixture of Korean, English and Chinese. My biggest concern was their Chinese but I can see that they actually enjoy learning Chinese at school. I would strongly recommend my peers to consider BRMCK for the preparation of their children for primary school. 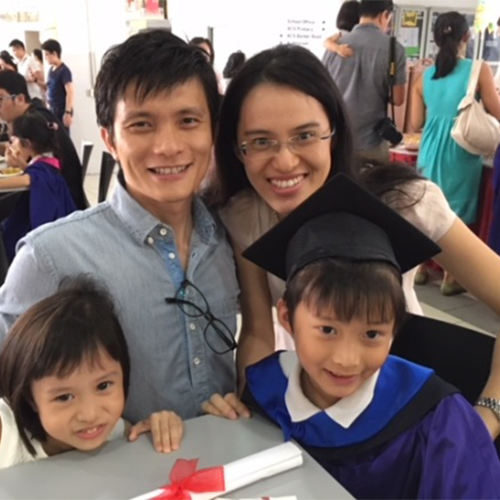 I am very glad I have made the decision to enrol both my children in BRMCK Toh Xin Yu Charmaine in 2014 Toh Kuan Tze Daniel in 2012 We love it that BRMCK is a simple place with solid core values where children can learn, grow and find happiness. The heart your teachers Ms Patricia, Mdm Dorin Kor and Mrs Boon put into everything is undeniable. We had a fantastic 4 years at BMRCK. With the BMRCK curriculum and the dedication of the teachers, my children are prepared for their next phase of life, Primary one. 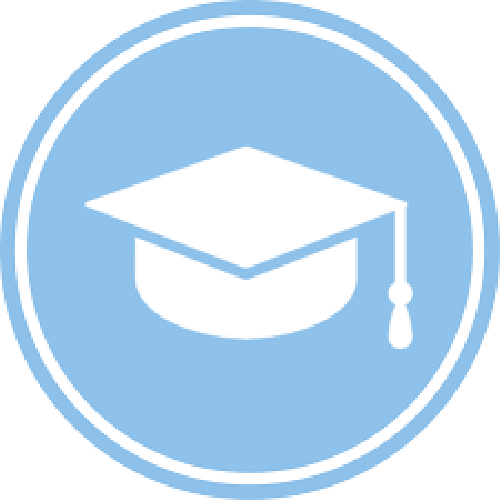 I have been incredibly impressed with your nurturing, caring and professional approach to teaching. Copyright 2017 by Barker Road Methodist Church Kindergarten. All Rights Reserved.